In Cahoots are based in Leeds, England. 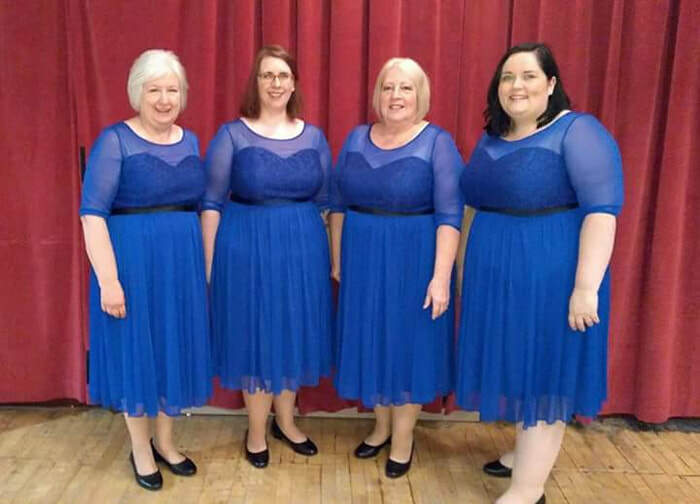 We formed in November 2017 and competed at our first LABBS prelims in June this year. We cannot wait to come to Ireland for our first convention as a quartet together, particularly our tenor Fiona who is extra excited to be singing in her home country!